I grew up on homemade jam. I have a HUGE preference for the stuff over store-bought jams. There’s just something about the freshness and the quality of doing it yourself. 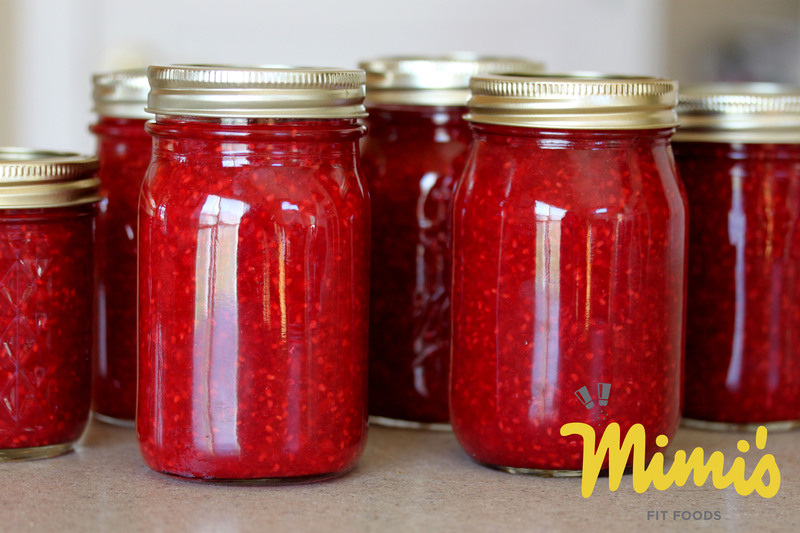 Most homemade jams are loaded with sugar (no wonder I’m in love with the stuff, right!? ), which is still usually healthier than buying what you find on the grocery store shelf. At least you don’t have all the preservatives and such. This year I decided to try making jam with an alternative sweetener. I’m not a lover of large amounts of Splenda, so I decided to go with a more natural sweetener . . . Agave. Agave is a sweet nectar that is plant-based. It actually is a product of the agave cactus. It most closely resembles honey in both texture and taste (although I think Agave is a little sweeter, which means we can use less of it as compared to honey). The only tricky part about making this jam was finding a pectin that would respond to Agave so that I would still have that nice, jam consistency. After doing my research, I decided to buy Pamona’s Pectin. It’s not sold everywhere, but I’ve found that it is sold in most health food stores. I bought mine at Good Earth without any problems. One other issue I encountered was that I was slightly nervous about the consistency of the jam when I was done making it. I was worried it wouldn’t set up and resemble the jam texture I am used to. Thus, I put my jam in a large pot, brought it to a boil, and then immediately took it off the stove. I put the jam into jars and as soon as it cooled, the consistency was perfect. If you like your jam a little runnier, this step can be completely omitted. The jam turned out beautifully, you guys! It tastes so yummy and it still holds that freshness that I adore about freezer jam. I will fully admit that it doesn’t taste as sweet as the traditional, sugar-loaded stuff. But, it’s not far off. And, for the calorie and sugar savings that my body will appreciate, I’m MORE than happy with the trade-off. I’ve had several people ask me about how to make low-sugar jam, so I am now happy to offer a solution that I completely love. Wash and rinse jam containers (I used pint jars). Prepare calcium water in a jar (as per Pamona instructions which is adding the entire calcium packet to about 3/4 cup water). Set aside. Prepare fruit. Measure fruit into large bowl and add lemon juice and agave. Sir well. Bring water to a boil. Put in food processor and add pectin powder. Vent lid and blend 2 minutes until all powder is dissolved. Add hot liquid pectin to suit; stir until well mixed. Add calcium water from jar; stir well. Fill containers to within 1/2″ of top. Put on lids. Store in freezer immediately. Keep in refrigerator to eat and after thawing. Lasts about 1 week in refrigerator. Makes approximately 5 1/2 – 6 pints.